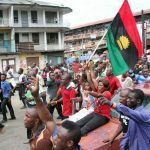 Following the statements credited to President Muhammadu Buhari which he made yesterday at a South East Buhari support rally in Owerri, Imo state, where he said the political future of the Igbo’s was dependent on who they vote in as President in the 2019 elections; the Movement for the Actualization of the Sovereign State of Biafra, MASSOB, has condemned the president for making such assertions. 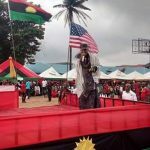 MASSOB in a statement yesterday said the political future and every other futuristic existence of Ndigbo can never be depended or attached to President Mohammed Buhari or any other Hausa Fulani man. 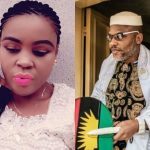 Leader of MASSOB, Uchenna Madu said it is an abomination and a taboo in Igbo land to say or think that Ndigbo will depend or rely on Hausa Fulani man for political, economic, academic, social, religious survivals unless President Mohammed Buhari is referring to the misguided and uncultured Igbos. 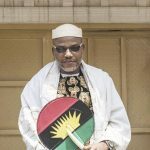 “Even the political errand men of President Mohammed Buhari in his APC from Biafra land can no longer perform positively because our people are more conscious of Biafra than Igbo political interest in Nigeria. 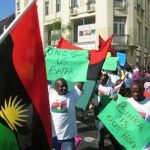 “MASSOB will work tirelessly with other pro-independence movements to frustrate and stop the election processes in Biafra land. 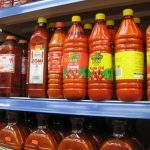 We can no longer continue to function on a fraudulent 1999 constitution that was imposed on the citizens by Hausa Fulani military government,” the group said.